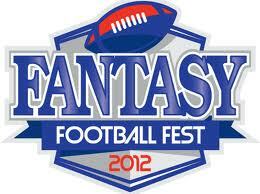 Welcome to Fuzzys Fantasy Football blog! FFF Members - feel free to post on the blog. 3. FFF reserves the right to delete and/or suspend your account if rule #1 or #2 is broken. We're starting with only a few topics. Let us know if you would like to add a category. Rants & Raves - Something amazing going on in your league? Something horrible? Scored 250 points this week? Scored 45 points? Post it here! Prior to posting, check to make sure you are posting to the correct category!